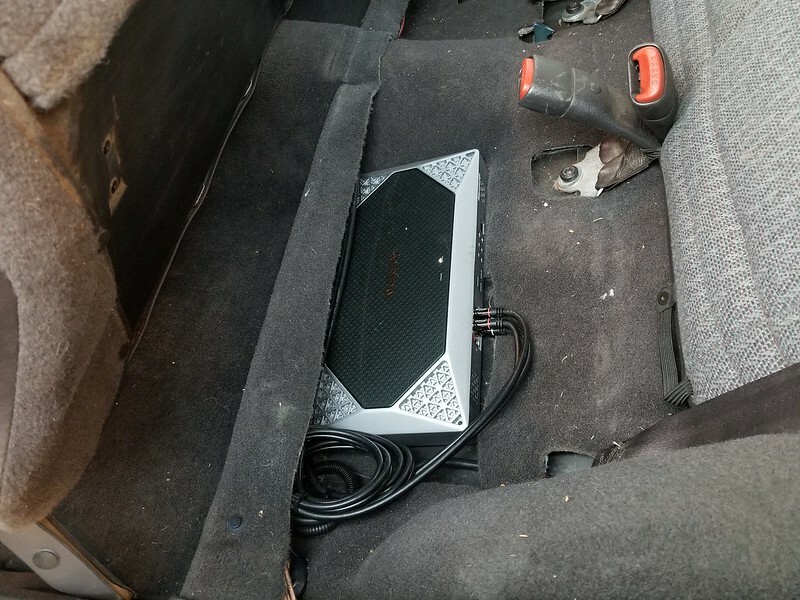 Now that the sound deadening was in place, it was time to get the stereo system installed. Unfortunately lost most of my pictures of this, so I'll show what I've got. I won't lie, getting it all done was a bit of work. I ran the two sets of RCA cables towards and down along the passenger side floor. 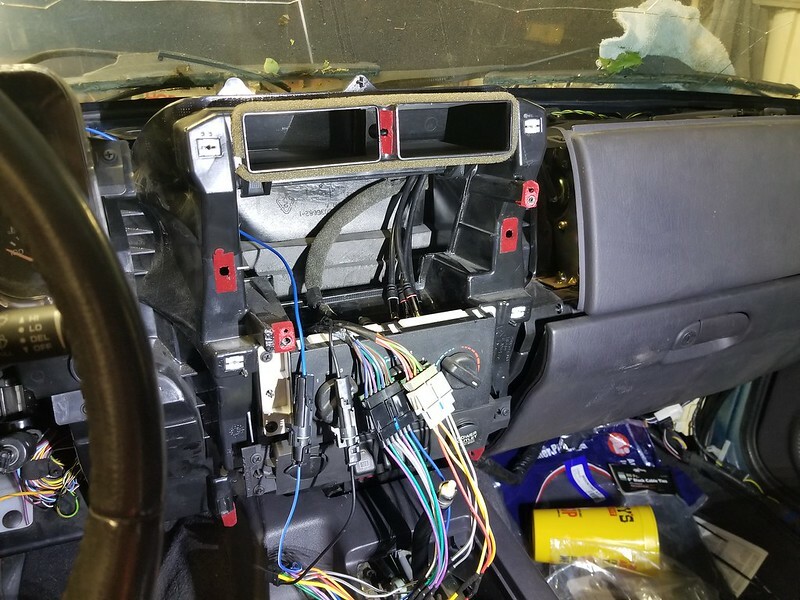 In hindsight, I wish I had just run them straight when I was installing the interior. 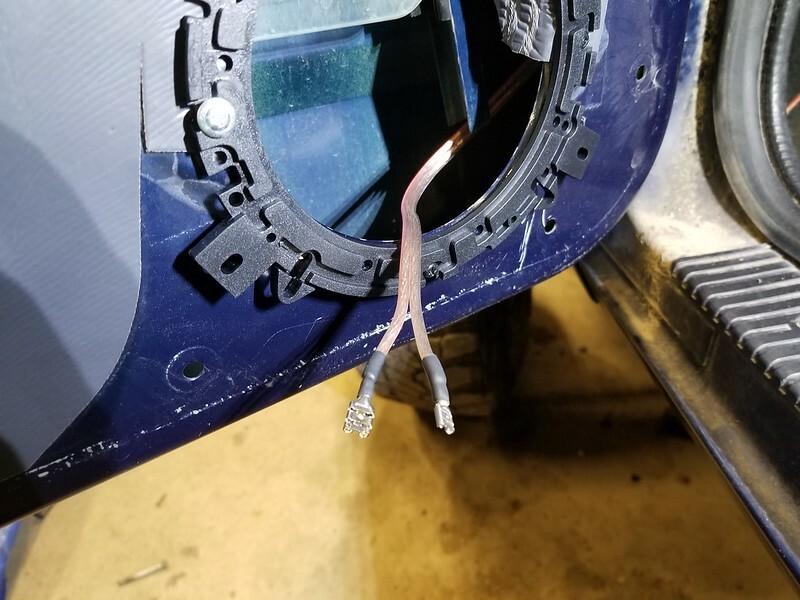 I ran the speaker wires down the driver's side (to get them separate from the RCA cables). The amount of wires makes getting the trim back on a bit of a pain. I've never liked how the stereos tend to just "hang" in the back. 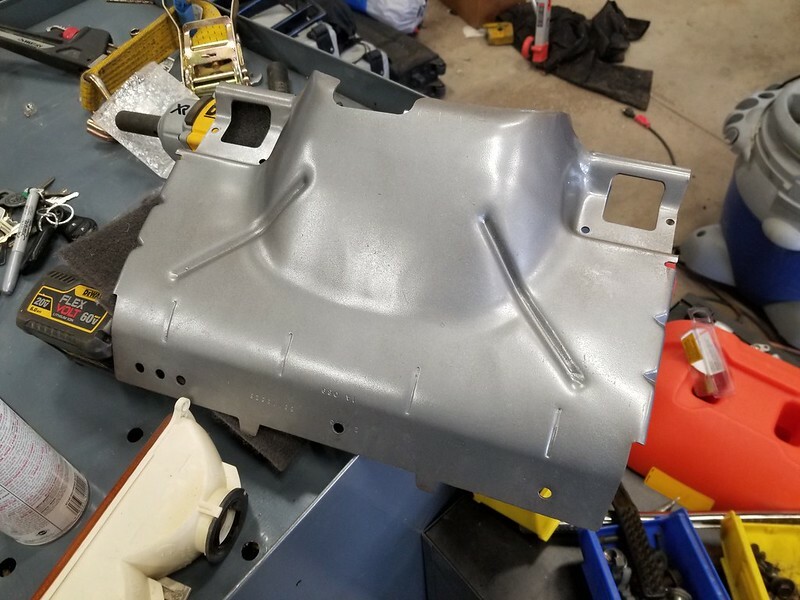 So, I took some of the extra foam I used for the heater core and built a sleeve that the very back of it would be supported by. It still had plenty of body exposed to allow for heat dissipation. I haven't gotten around to dialing in the amp, and the system already blows away the stock setup. Once that was all done, the interior got finished up and put all back together...huge step in getting it there! As a note, everything, as usual, got a scrub and clean before going back in. Last edited by freerider15; January 8th, 2019 at 17:23. 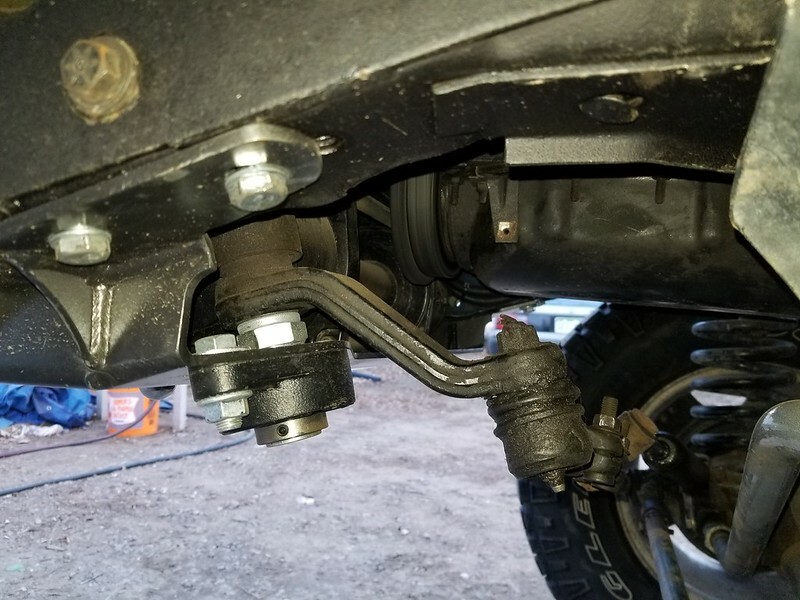 I got my Boostwerks Comp Mount for a hidden winch and steering brace setup. Mine is actually a Gen 2 (I believe it was), but I just wasn't able to get it installed right away. 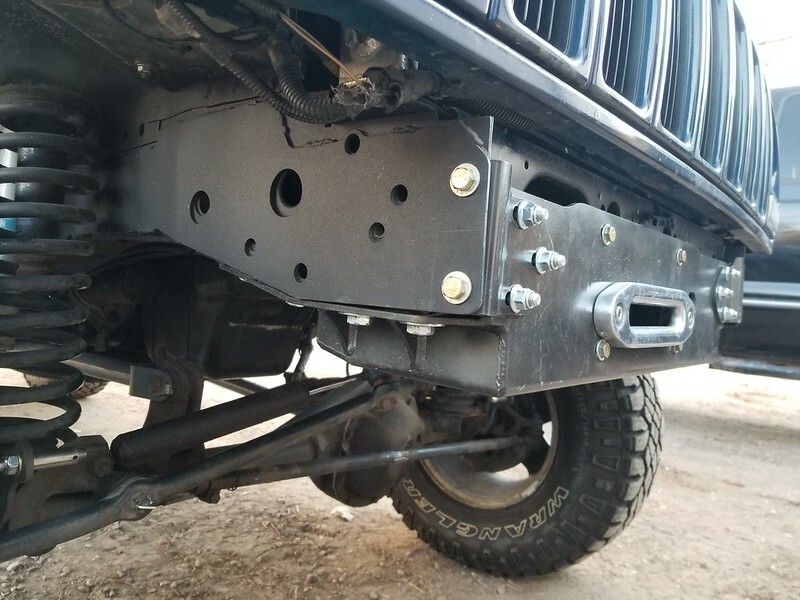 The install wasn't a walk in the park, mainly since my Jeep wasn't 100% straight even after repairs. Damn close, but just enough to make things a little harder. Either way, 110% worth it. 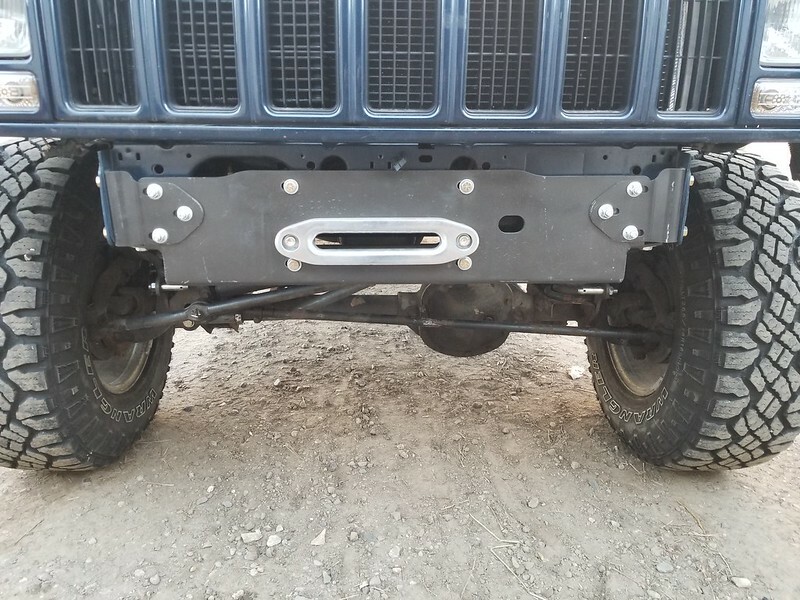 I opened up a slot on the bottom, the long round hole, since I'll be running a Smittybilt 8k on this rig (I've had a couple sitting around). The handle knob swings just below this hole, and makes for easy engaging and disengaging. You might be able to see it in some other pictures. If not, I'll follow up with it. 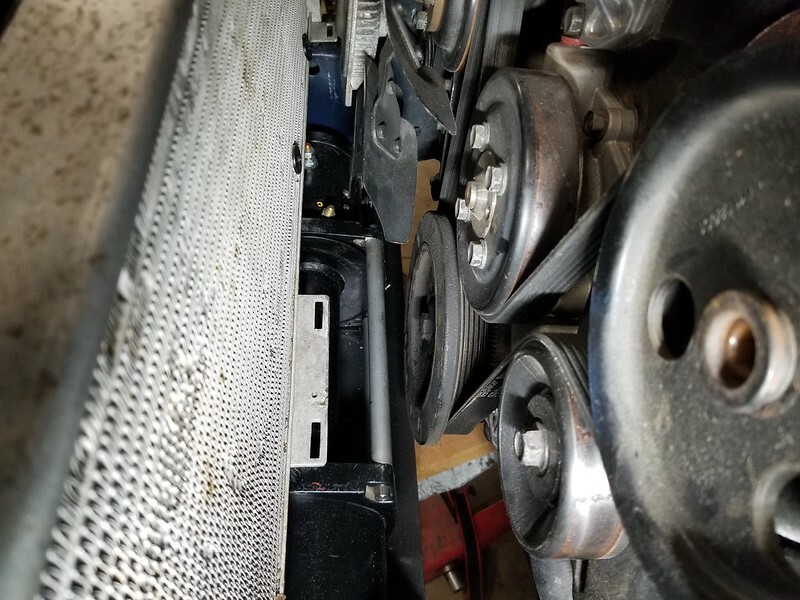 The only other thing I had to do, was to trim the fan shroud just a little to get it to fully sit down, as it was hitting one of the power/ground lugs on the winch. I still need to get the control box and wiring done, and get a rope put on. But, those haven't been high priority. 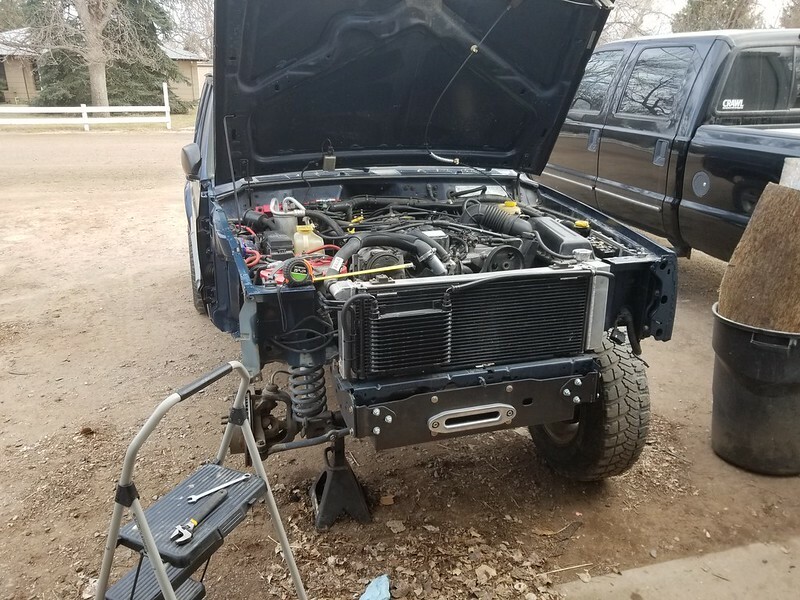 While I had everything apart, I went ahead and put a trans cooler in. Of course most of those photos went too, to I'll throw up what I have. 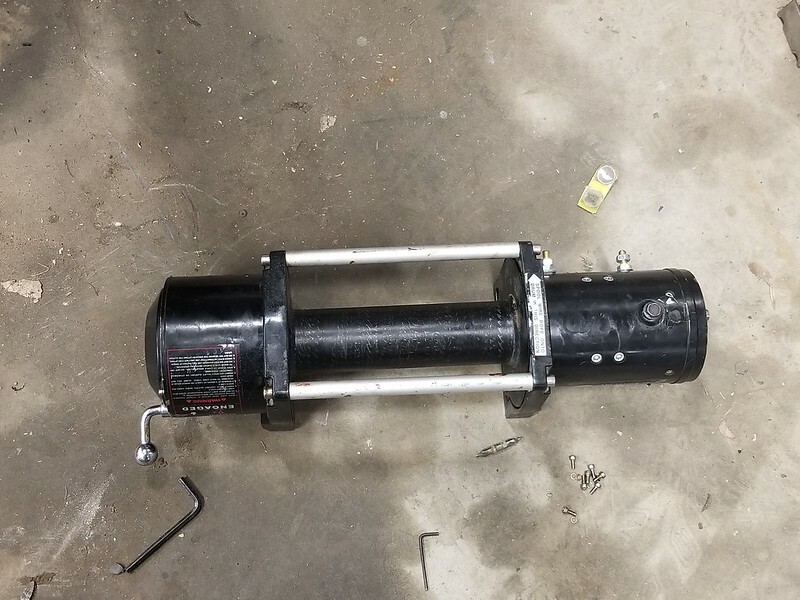 I went with a Derale 9000 Series Fin & Plate Transmission Cooler, 8.875" x 10.125", 1/2" In/Out. And it screwed right on just fine. 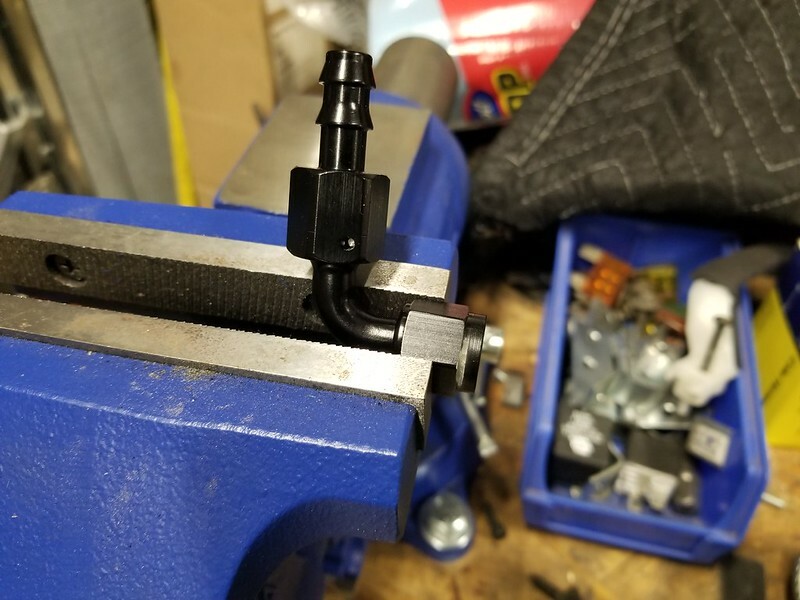 The other hole was originally just a tube clamp style output. 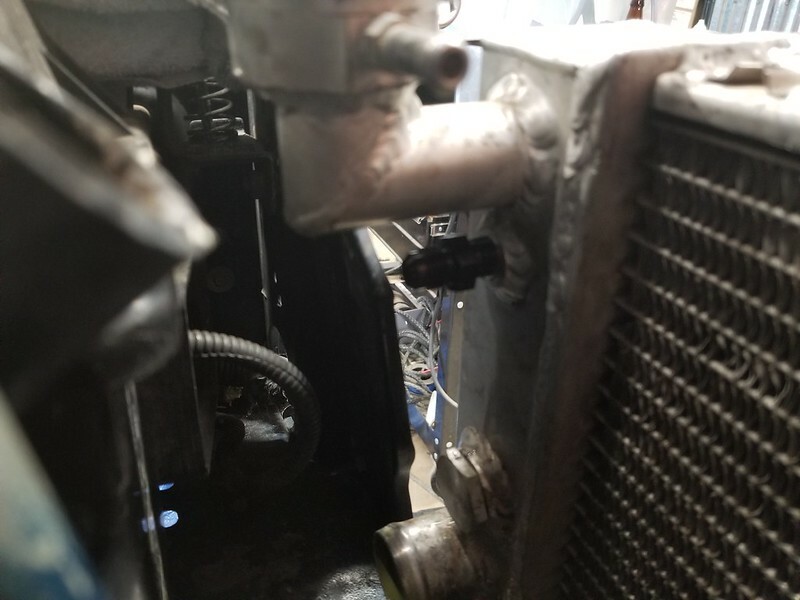 So, using my air compressor to create a positive pressure inside the radiator, I cut the tube off, drilled out the fitting (very slowly and carefully), and tapped it for NPT thread. If anyone is curious, I can get more photos of how I routed all the tubing and such. 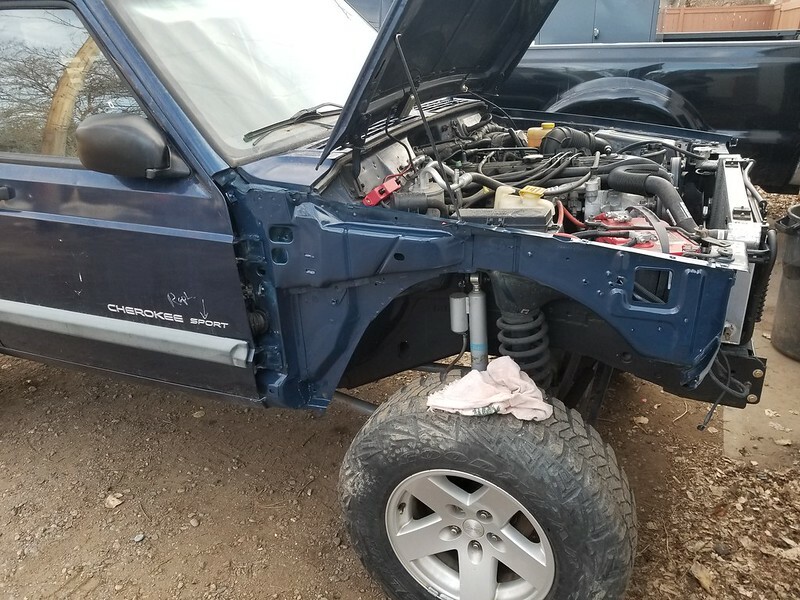 The Jeep had a remote start system installed previously, brand was "Code Alarm". It wasn't fully still installed, so instead of just trying to get it all wired back in, I just pulled it all out...glad I did. 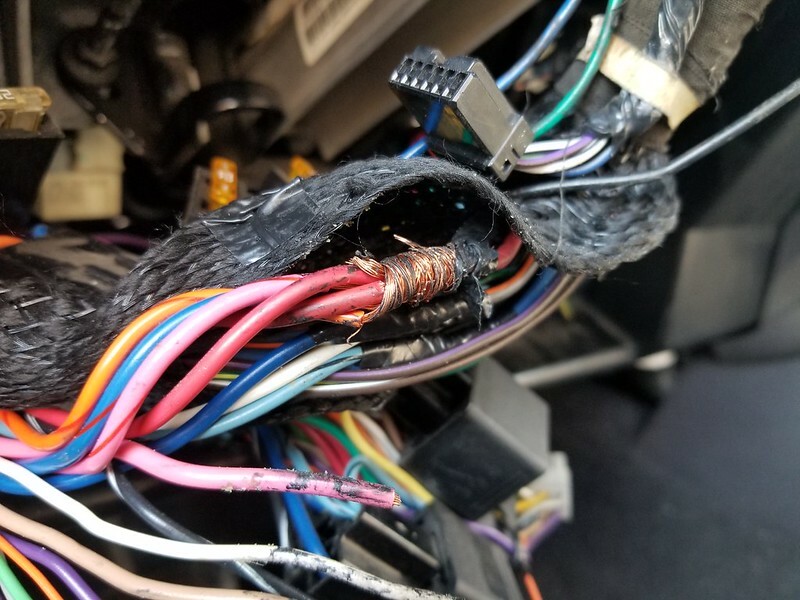 Instead of doing it right, and clean...we'll just strip off a section from the wire we need and wrap these other wires around that one, and then just wrap it all up in electrical tape. There were 4 splices like this. 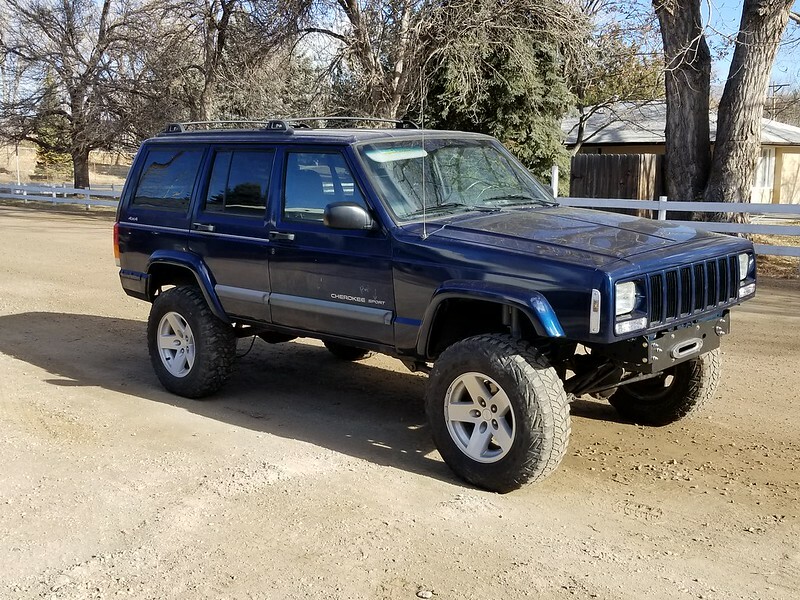 Got it all fixed and back to stock now. Back on the front, I got my generously given to me Bilsteins and JKS shock adapters mounted up. A good buddy of mine (and former roommate) didn't need these after he started his 1 ton build on his TJ. 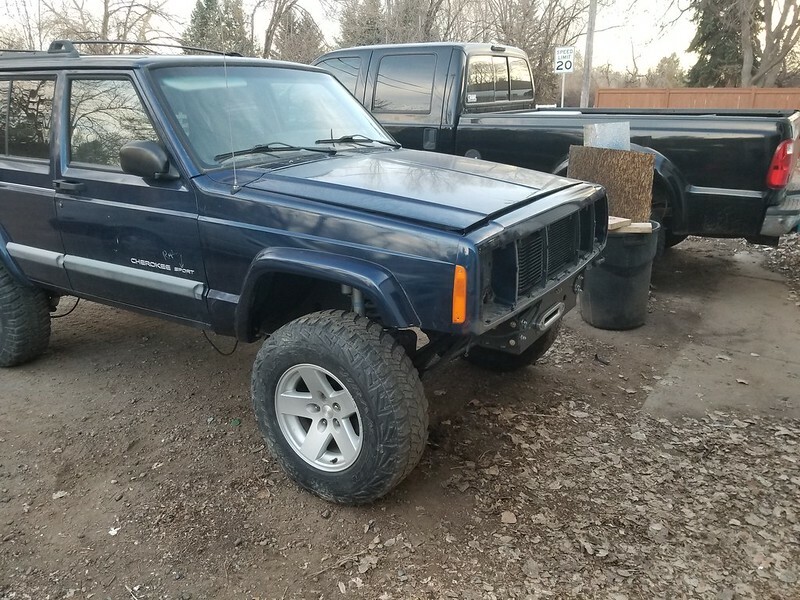 So, he offered them up to me for this Jeep. 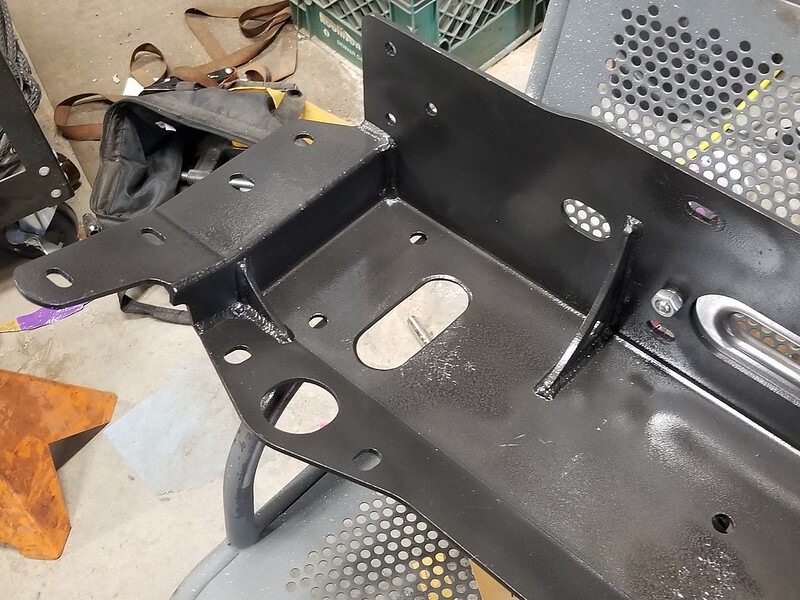 I also ended up pulling it all off after this picture on both sides to get the front frame portions on both sides sprayed with 3M rubberized undercoating. 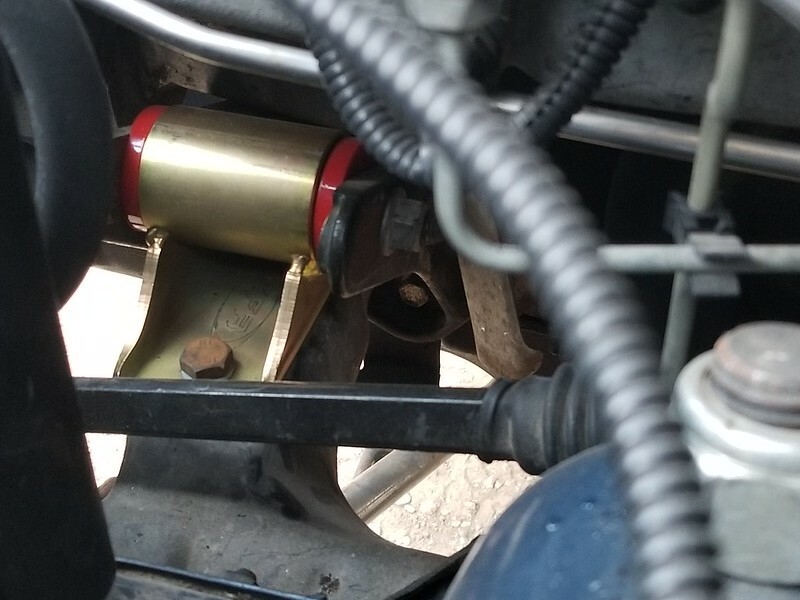 The panhard axle side mount is one that has kind of puzzled me. 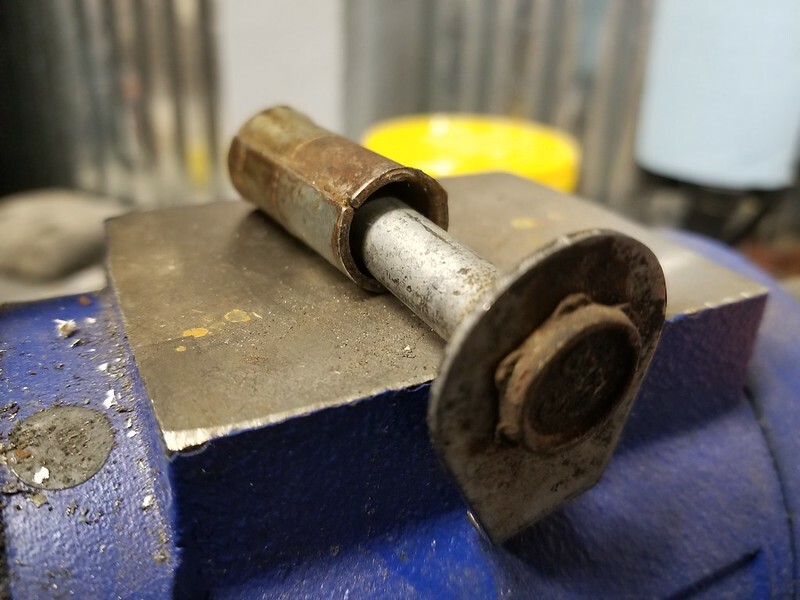 The OEM bolt in an M10, yet the hole on the axle is larger (loser to 1/2"). That leaves room for play, which on the panhard...I don't like. I then drilled out the axle side to 1/2", and it's like it should have been! Fits SO much better now, no play at all. The Brown Dog motor mounts we're a little worse for wear in the bushing department. 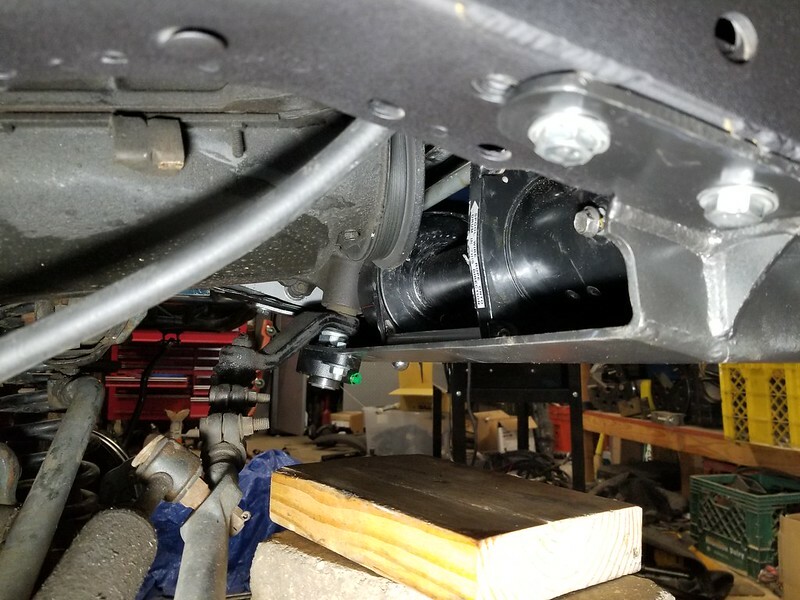 So, I decided to try the StinkyFab Motor Mounts and Trans mount. Quality products by far, and install wasn't too bad. I went with clear turns and side markers, and amber LED's. For the headlamps, I went with Hella H4 E-Code housings and drop in LED bulbs. Light output is fantastic, and cutoff is great as well. I tried Autopal E-Code housings, but they don't work with LEDs, they only work with incandescent bulbs. The Hella housings in these pictures were actually stolen off the buggy. A new pair landed yesterday that i'll be installing. And then, finally yesterday I got some 265/75R16 Duratracs I've had around mounted up...love it. 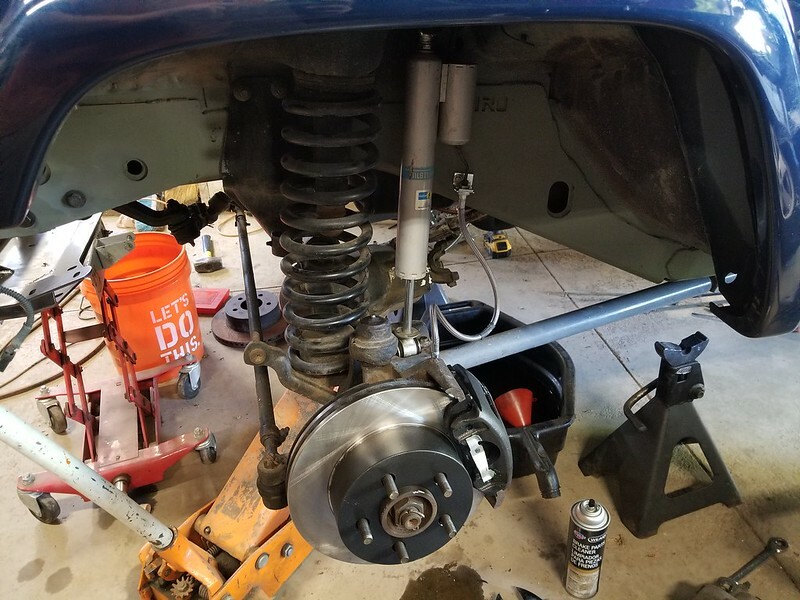 I got the links all adjusted, axle centered, and toe taken care of. Now to put some miles on it and get it emissions tested and plated! So there were some additional things done that weren't shown. 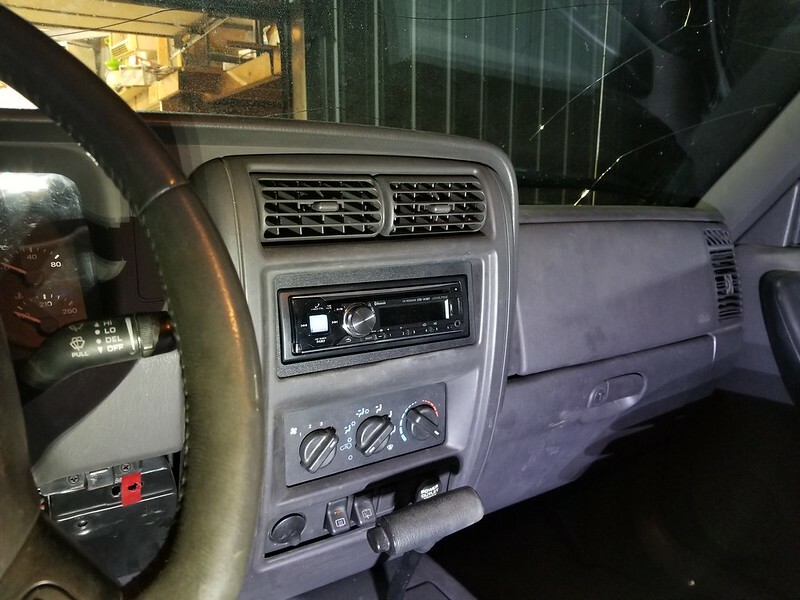 - Swapped a new passenger door in since the old was one peeled back slightly at the front lower corner. - While pulling my buggy in, I managed to run over my fan shroud (new) and electric fan, so it got new of both. 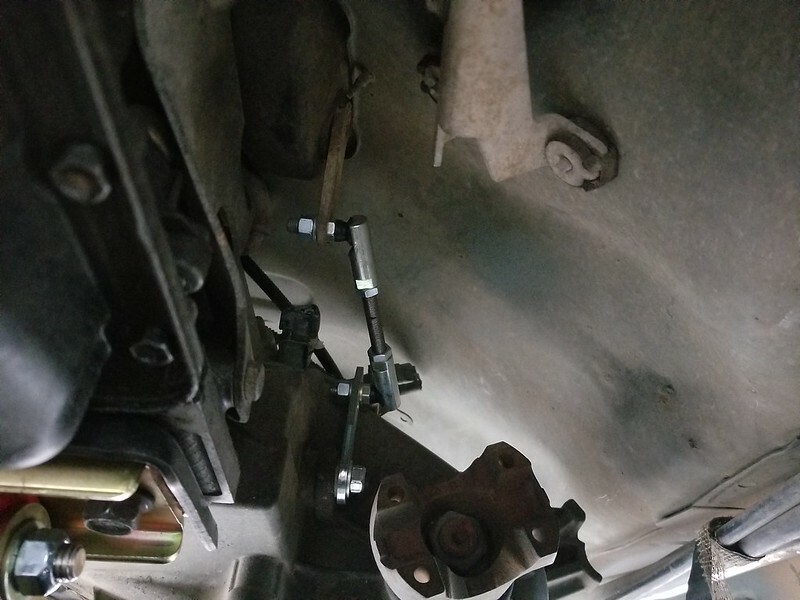 - While doing a 100% suspension bolt check, I decided to remove the rear sway bar. 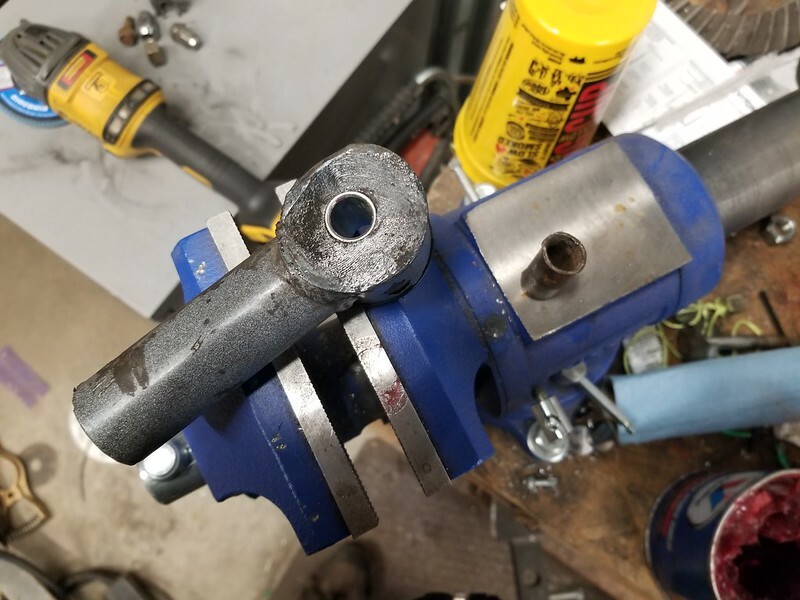 This resulted in 1 broken Ubolt. 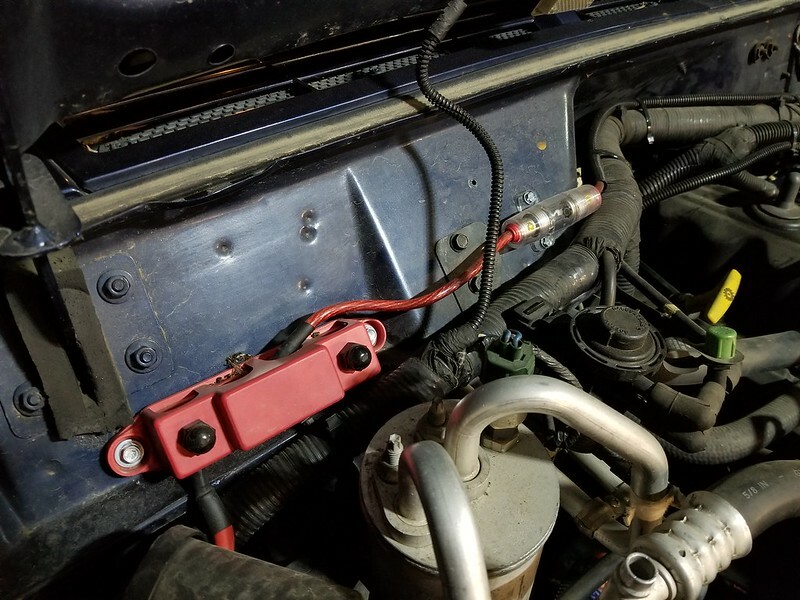 So I just went ahead and bought an entire ProComp Ubolt set locally and installed those. The rig is still far from done. Now that it's roadworthy, it will give me time to drive it and work out small bugs. The passenger side window doesn't want to work from the driver's side or passenger side, and the driver's rear door doesn't work from it, so I'll have to dig into those. - Take care of rattles, squeaks, etc. as I can. So now that you've driven it some, how much did all the sound deadening help? If you have the fobs I think you need a scan tool to program them. I think there was a way if you have two fobs already and want to add but adding new you need to use a drb to program them. 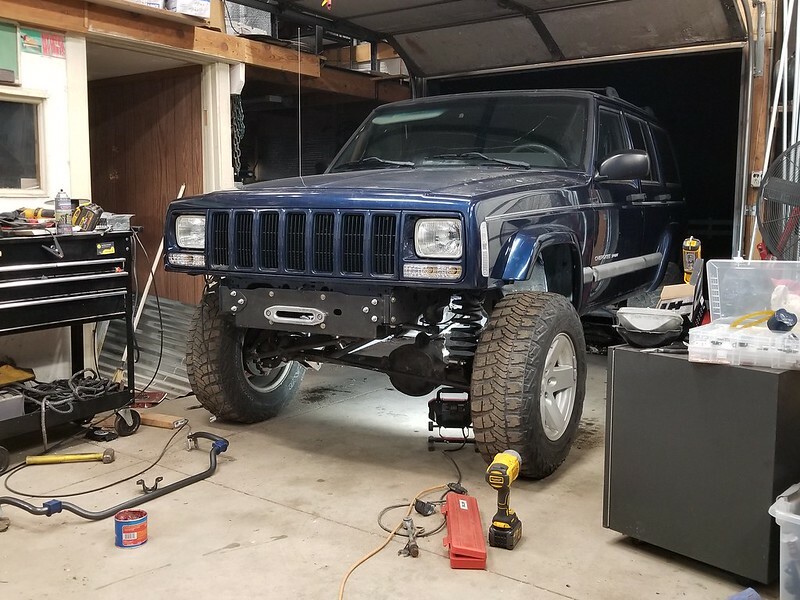 Looks like it'll be a good little trail rig. Well, I'll have to do some comparisons against Sam's (Zluster) Jeep, but I'd definitely say it helps. Hell, I can't really even hear the fuel pump prime. Once I get the doors and hatch done, I'm sure those will help make even more of a difference. I've only driven it to the gas station and back (like 1/4 mile round trip), and around the block a couple times. I'll try going for a putt putt around town tomorrow. New baby is keeping me limited on time. Sam has a DRBIII scan tool, so he's more than equipped to help me out with that. Once we have some time, we'll see about getting it setup. 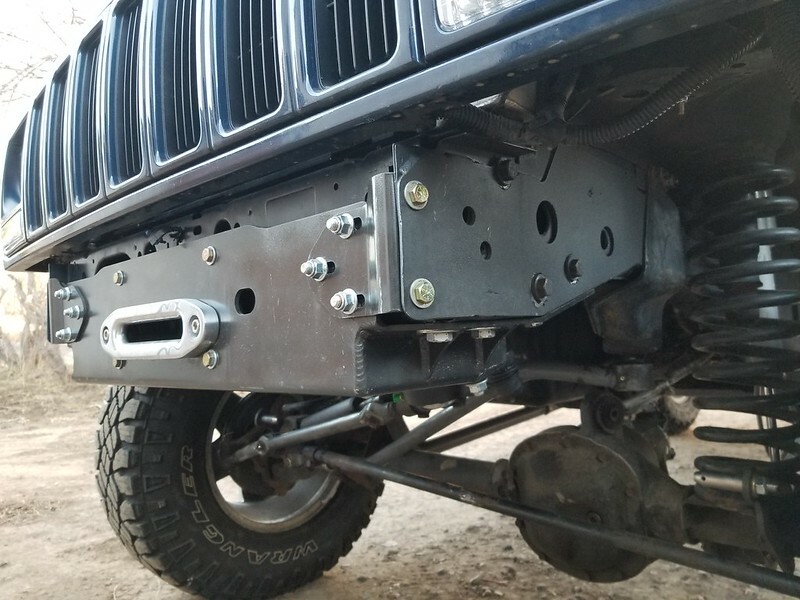 @Freerider - Really cool winch you've got there. 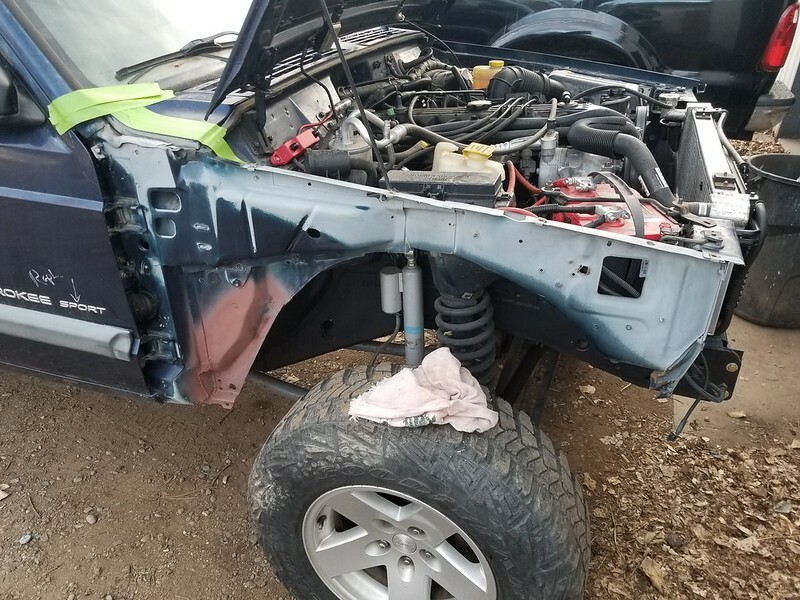 Looking forward to seeing how you do the front bumper. I have the early body style, also dark blue, that I am restoring. 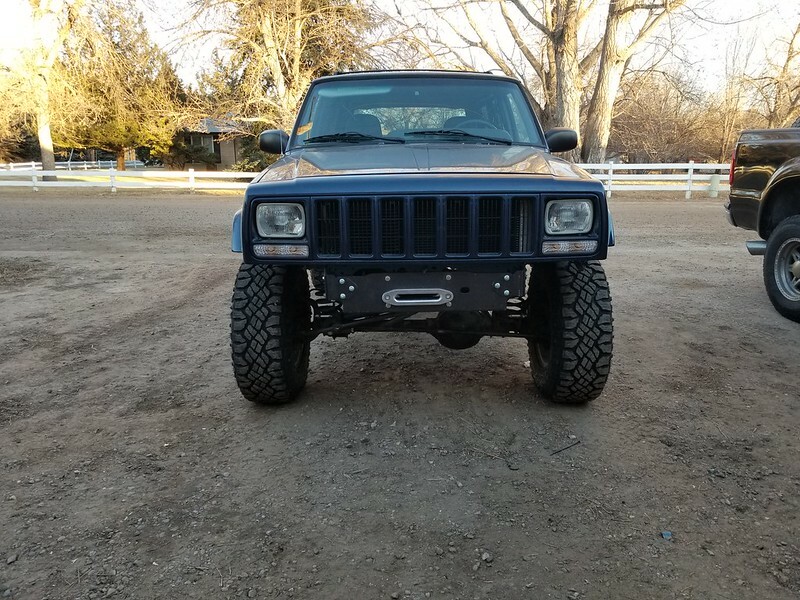 Curious how this winch would work with my stock bumper and whether it could be done neat and clean. I did to. Wish I had run a before and after test like you but for me it was more a while we are here thing for me. Really just a turn up the radio kind of guy. Was doing Infinity Tweeters and door checks so while we were there. Swapped out cheap aftermarket turned purple tinted glass for some factory Privacy Glass so while we were there. Put in an overhead console so while we were there. You get the idea. Did a little write up but have not gotten to the floor yet. 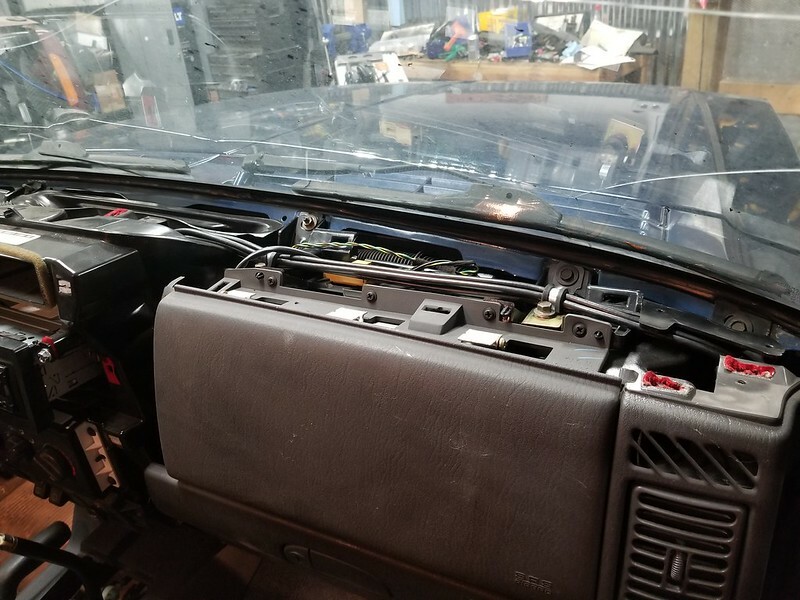 I'm actually tearing down my interior this spring for the same reasons, full interior resto, new a/c sound and heat insulation with new carpet, new headliner etc. I'm really interested in your feedback on how everything turned out! Anything you would change? 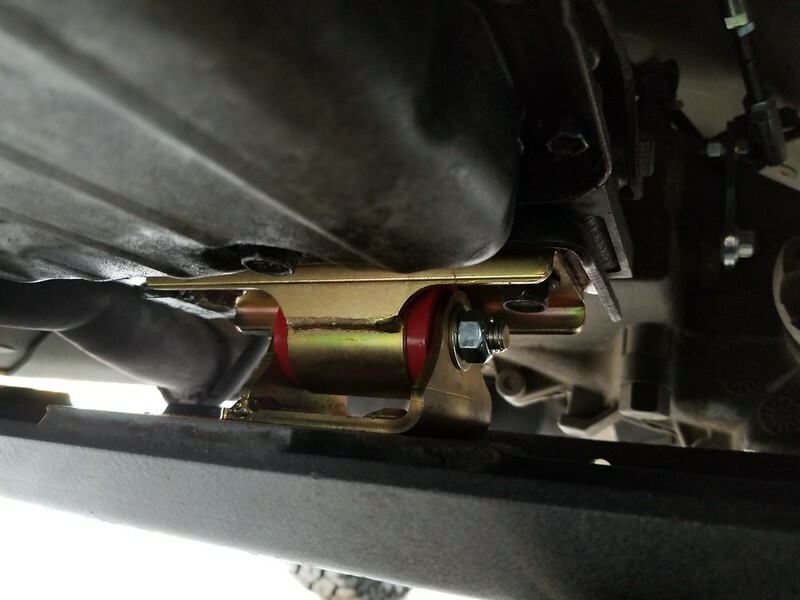 Are you planning on using the Boostwerks relocation bracket to mount your winch contactor/solenoid under the hood? 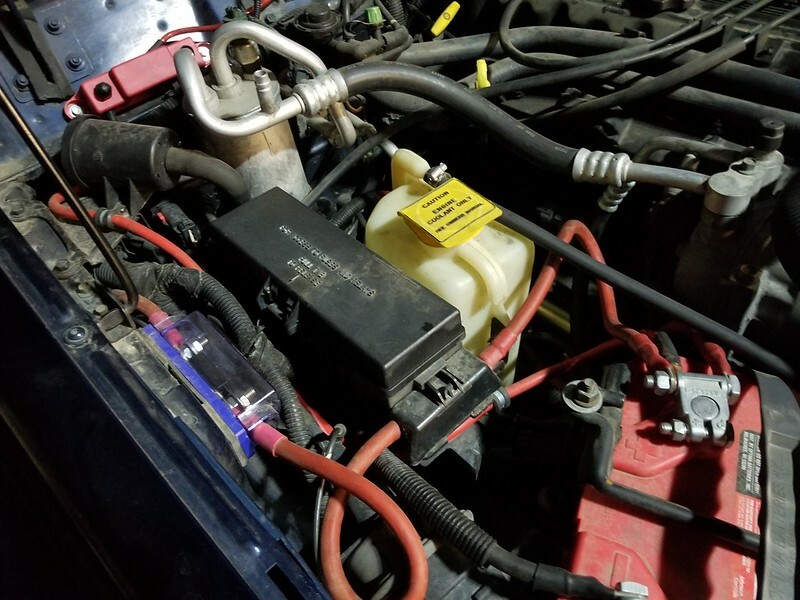 If so, what are you doing for your coolant tank relocation? 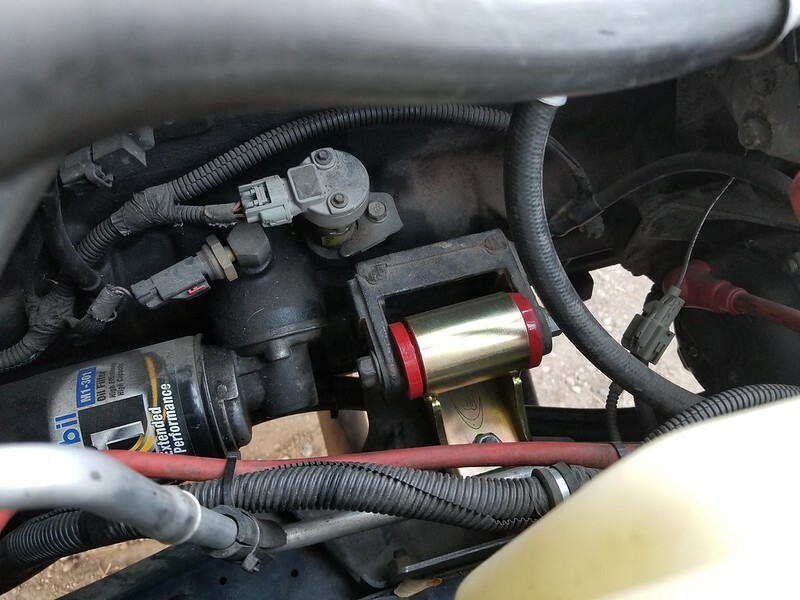 I've used a Dorman tank and relocated in front of my brake booster. 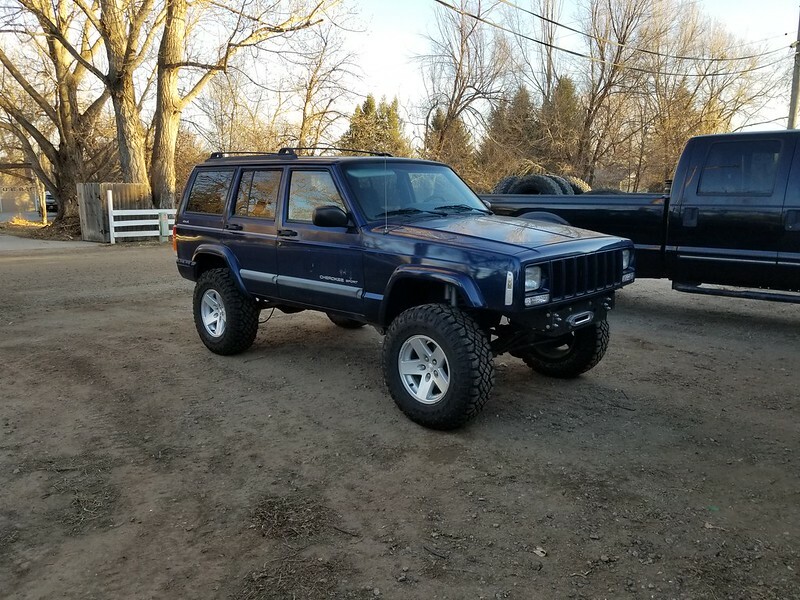 XJ is a lot nicer than mine, that's for sure. 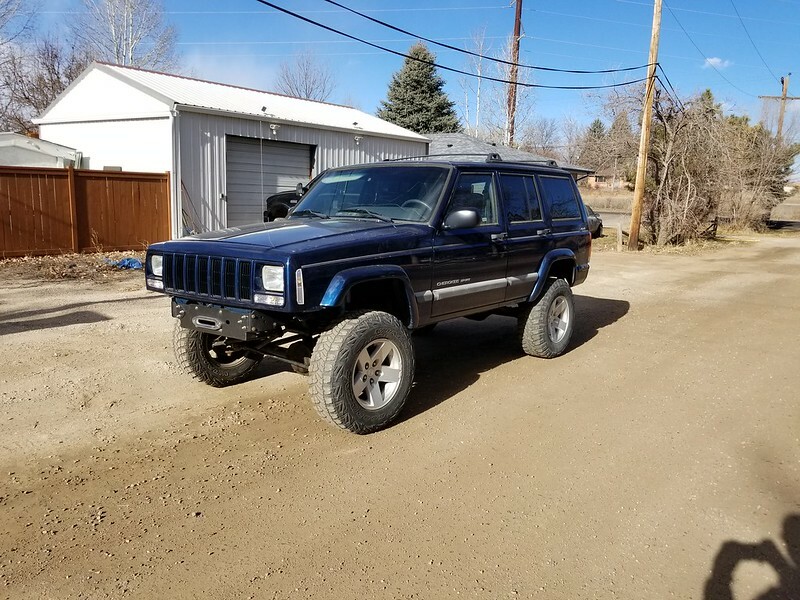 Maybe after the move and buggy build I'll go through the XJ like you did. I kind of doubt it though, you've got more patience than me by far. Great work. All times are GMT -7. The time now is 08:50.